(TibetanReview.net, Jun20, 2018) – China which claims to have excellent human rights record, especially in Tibet and Xinjiang, came under strong criticism from the UN’s top rights officer on Jun 18 for lack of cooperation in the investigation of that record. Delivering his address at the UN Human Rights Council’s 38th opening session, Prince Zeid Ra’ad Zeid, the UN High Commissioner for Human Rights, has strongly criticized China for not allowing his staff “unfettered access” to the country, including Tibet and Xinjiang, where he said the rights situation was fast worsening. Over the last five years, beginning 2014, China had “accumulated more than 15 pending requests for visits”, Ra’ad Zeid has said in his statement. He has noted that only two mandate holders had been allowed to visit China. He has also noted that the efforts made by his office to establish conditions essential for an effective dialogue had been thwarted by China which did not give his staff “unfettered access to the country, including to the Tibetan Autonomous Region and the Xinjiang Uyghur Autonomous Region, where the human rights situation is reportedly fast deteriorating”. 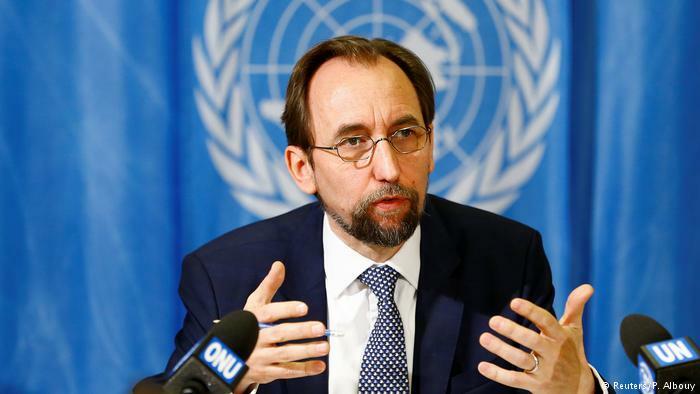 The UN High Commissioner for Human Rights has expressed dismay over China’s continued efforts to curb civil societies from engaging with international human rights mechanisms, including UN Treaty Body reviews, Universal Periodic Review and mandate-holders. He has called on Beijing to “allow all actors” to take part in the international human rights mechanisms, and “cooperate with them in a spirit of open and mutual partnership in order to improve respect for the rights and freedoms” of all people in China. Prince Zeid Ra’ad Zeid Al-Hussein’s term is ending this summer and he has said he will not run for a second term amid concerns that the global retreat from human rights makes his position untenable. The veteran diplomat announced his plan in an end-of-year email to his staff on Dec 20, 2017. He has said “fearlessness” was required to defend human rights and appealed to all his colleagues and like-minded “to do more”, and “to speak louder and work harder for the common purpose and for universal human rights law” in order to achieve lasting global peace.